one on the tail for a leash, 4 on the deck for carrying kits. A very easy and versatile board line. You want to discover the sup world, or cruising, surfing, yoga, enjoying the ocean with your friends? Yes the air drive is the solution, thanks to it’s generous volume and specific shape. Fast but easy, that was our mission when we designed the air touring. No need to be an expert to explore the ocean on this cruising board. the air force is our scret weapon. 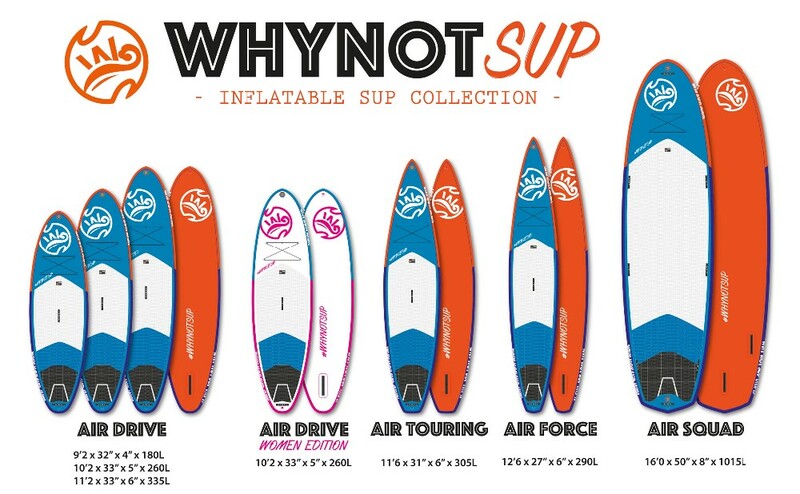 One of the fastest inflatable sup board on the market, but still easy. No need to say more. For those who want to train and compete on racings. 5. D-ring: stainless steel D-ring on tail for safety leash, 4 on the deck for carrying kits. 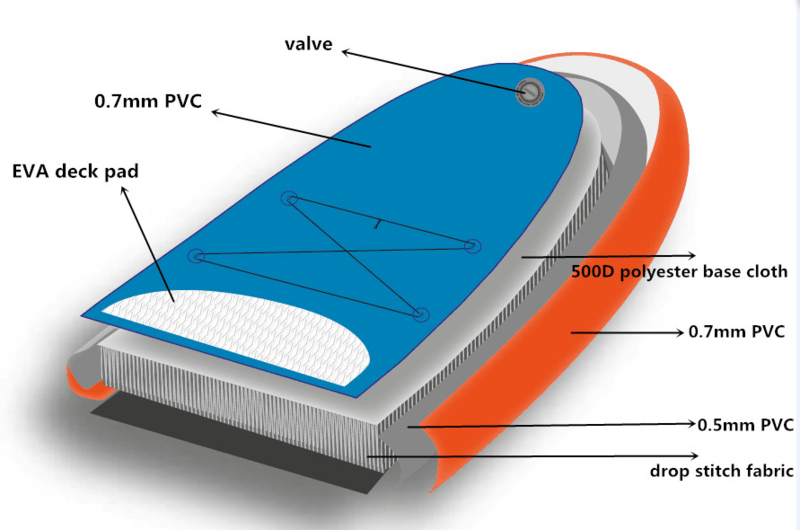 1.What’s the material use for the stand up paddle board inflatable? 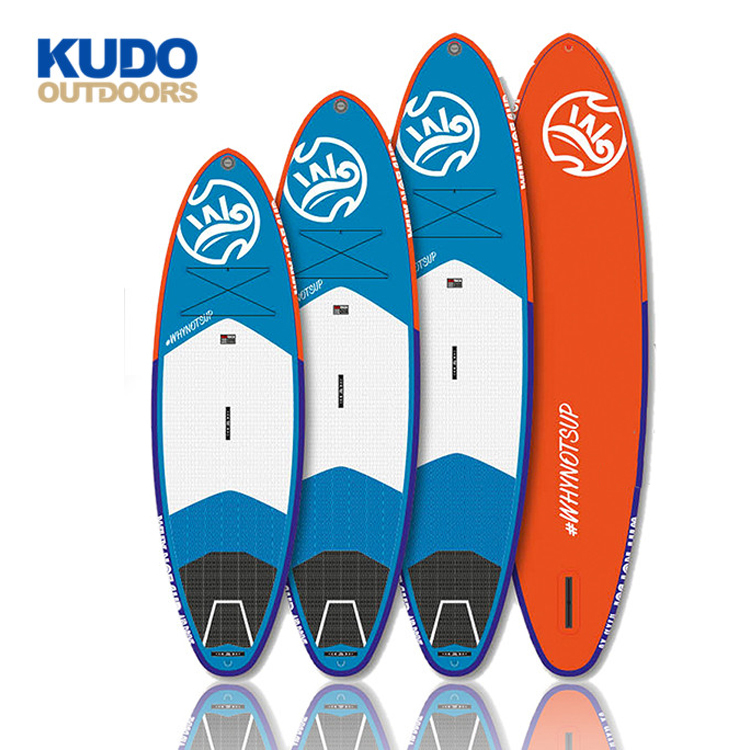 Kudo stand up paddle board inflatable are made of high quality drop stitch material ,with two reinforced layers PVC fabrics.They offer rigid and stable performance on water in any situation. 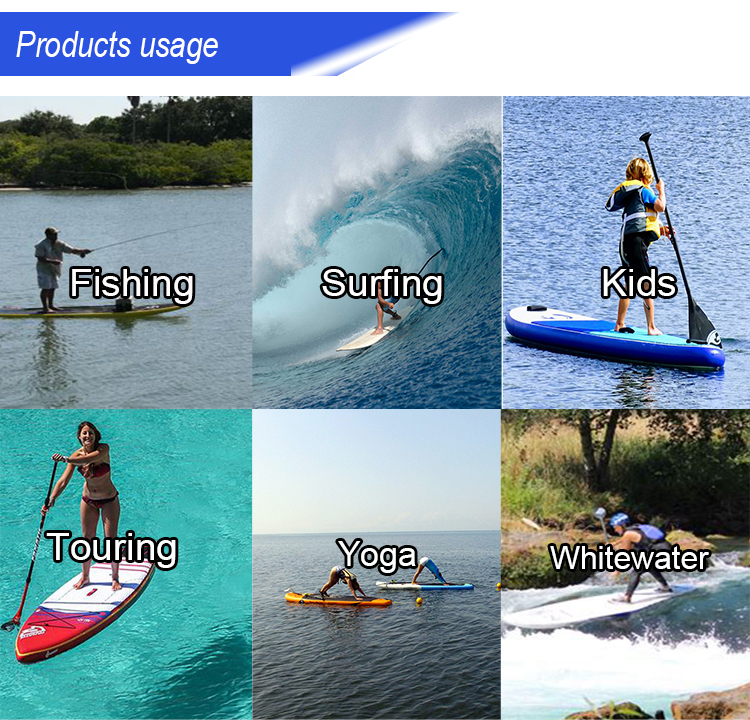 2.What about size and color for stand up paddle board inflatable? 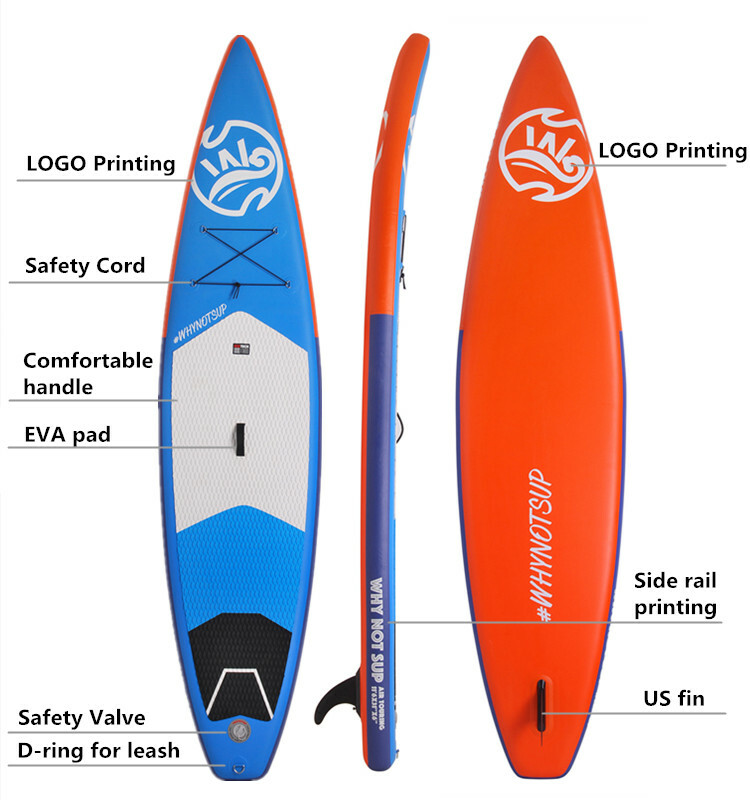 Now we have the size:12’6”,10’6”,10’0”,9’5”,8’5”,8’0”,7’5”,7’1”.The stand up paddle board inflatable size and color can be changed according to your requirements or according to our catalogue. 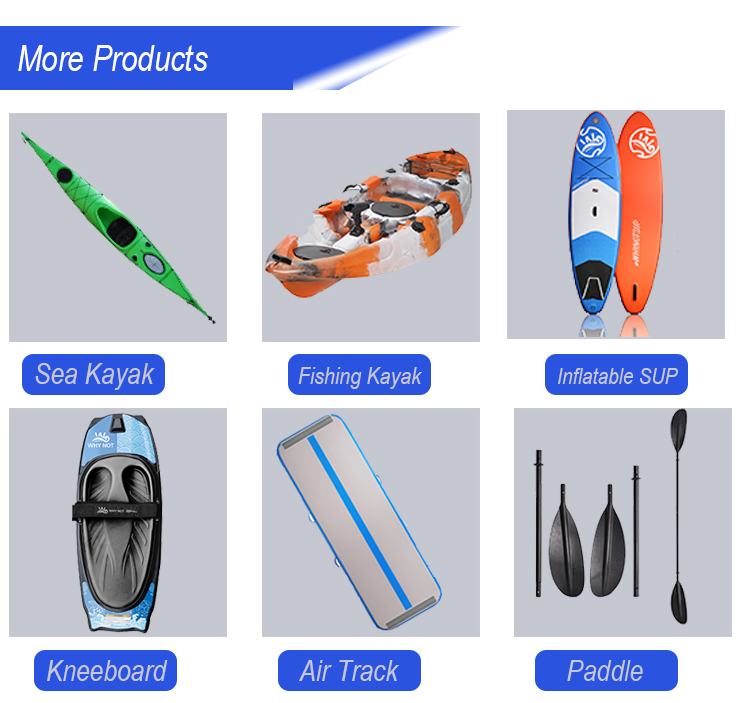 3.What will be included in inflatable paddle board package? 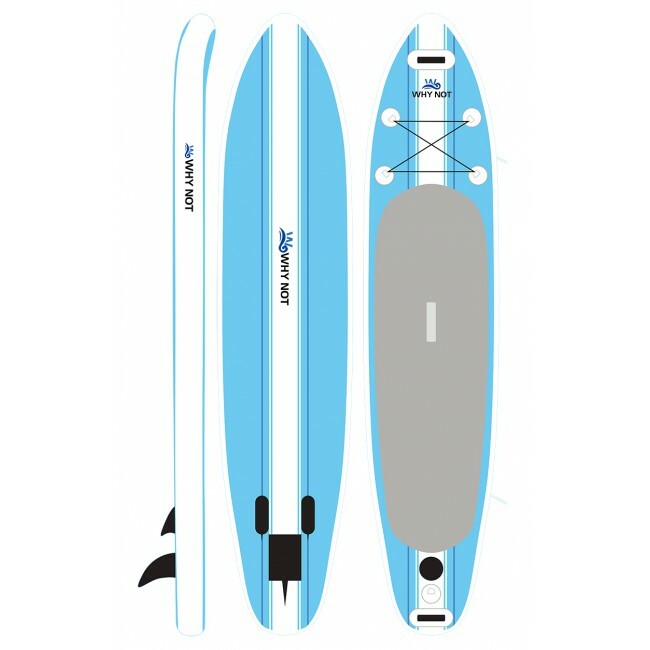 The package for stand up paddle board inflatable will include :repairing kit(1pc), carrying bag (1pc), dolphin (1pc), fin(2pcs). Hand pump & paddle are optional. 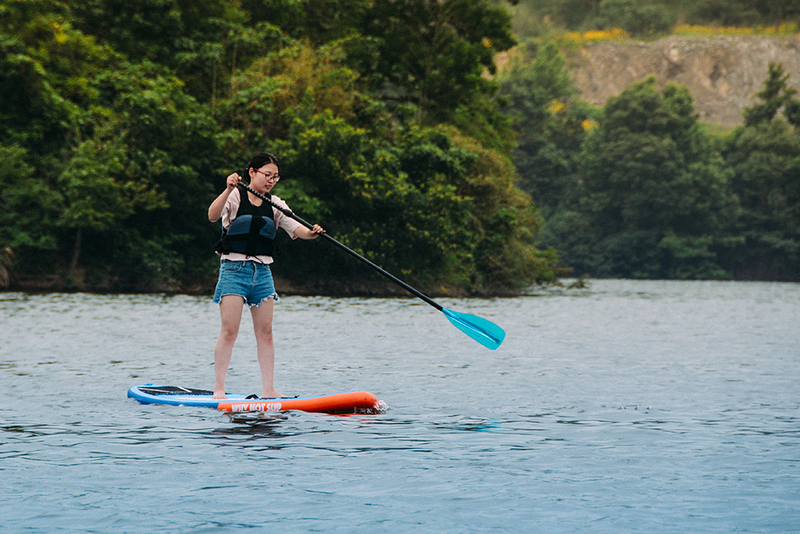 4.What’s the MOQ for stand up paddle board inflatable ? 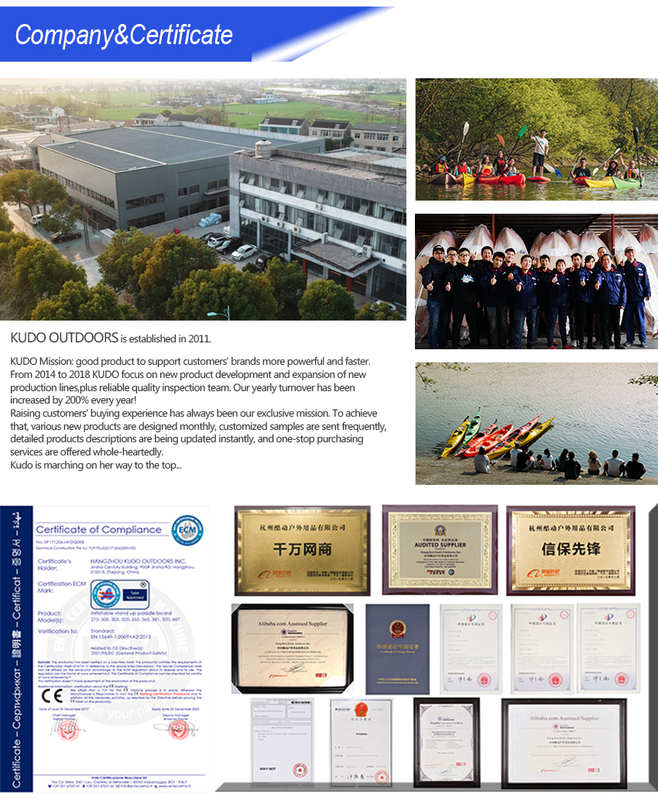 The MOQ for all the stand up paddle board inflatable will be 20pcs. 5.Are you a factory or trade company?